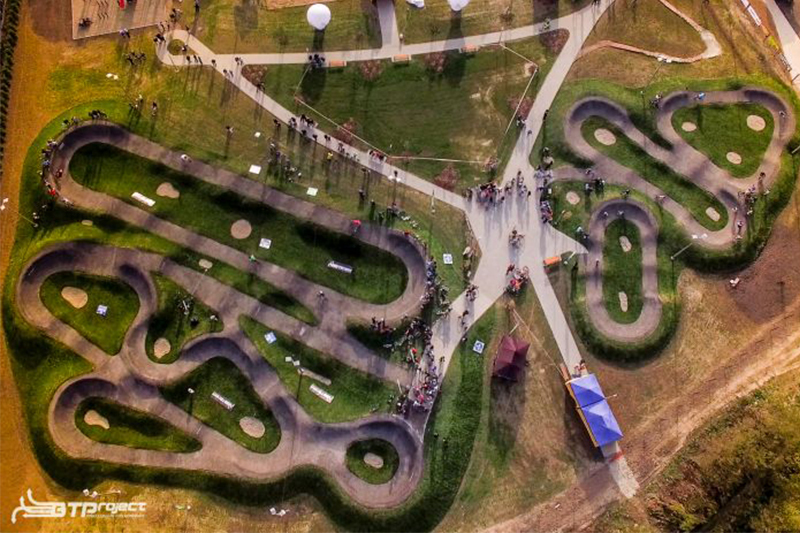 PUMPTRACK is a specially designed obstacle course that features bumps, profiled turns and small jumps placed in such an order as to allow gathering momentum and maintaining it without pedaling. Gathering momentum is possible thanks to skillfully profiled obstacles (bumps), on which a user performs upwards and downwards moves (so called pumping) heading a preferred direction taking advantage of gravity and centrifugal forces. Ridding PUMPTRACKS goes hand in hand with popular among youth sport disciplines which do not require monotonous trainings but simply delivers great fun. Riding a bike involves all muscles groups and is highly physically demanding. 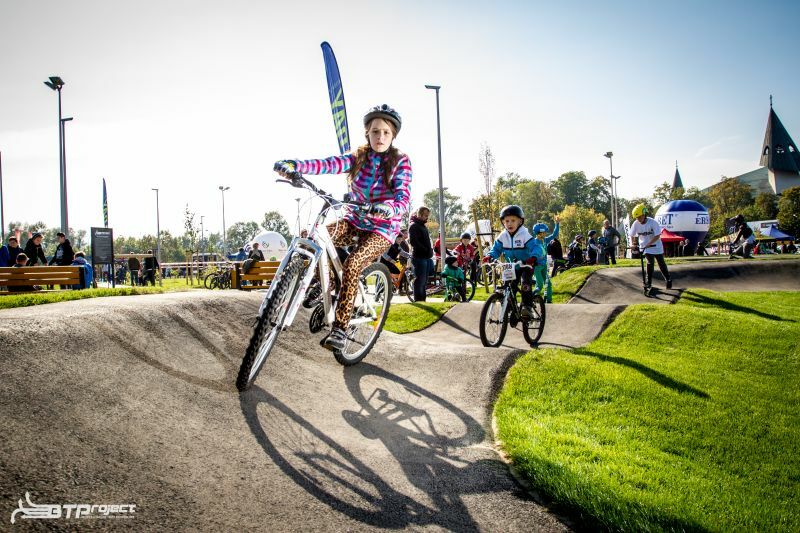 Bike playgrounds PUMPTRACK provide young children with an opportunity to get familiar with bikes on uneven terrain in safe environment but at the same time they pose challenges to well experienced bikers. Mini Pump is a track designed for children riding balance bikes from the age of 2. Trucks in question due to small-sized humps is perfect for small children enabling them to develop motor coordination as well as balance and all that in safe environment. As a result, it does not only increase their body awareness but also improve their social skills and the ability to function in a group. Mini Pumps from the building point of view are well manageable mostly due to their relatively small size. That in turn makes it easy to fit them well into almost every surrounding. (in comparison to those found in Mini Pump) obstacles and profiled turns that for an endless loop. be ridden in various directions. 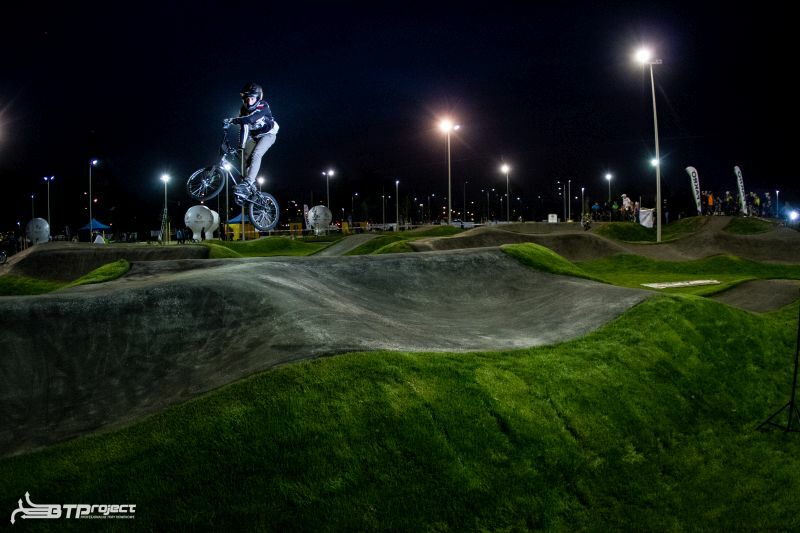 Thanks to the obstacles taken from tracks for BMX RACING, Race Pumps provide great training ground not only for future Olympians but also for everyone who wants to try his hand at riding obstacles at a bit higher speed. 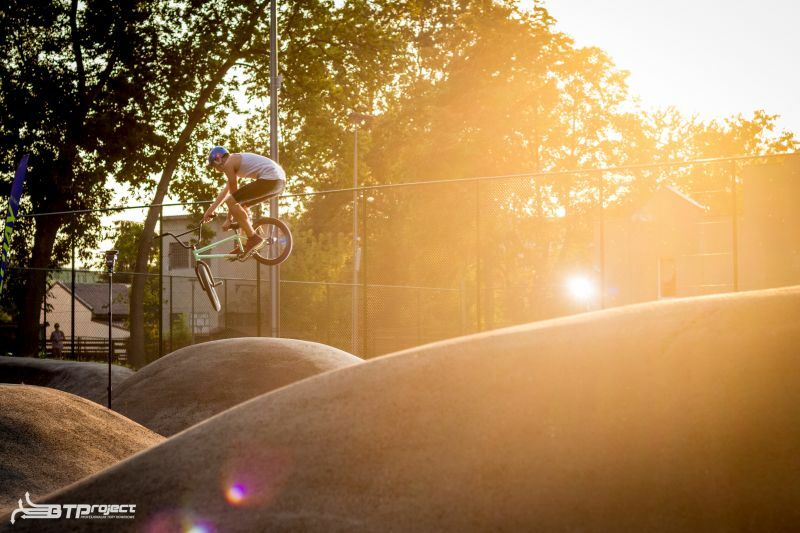 WHY IS INVESTINGIN BIKE PLAYGROUNDS WORTH IT? 4. Meeting spots for local community members building and strengthening proper social relations. 5. Interesting way of managing green, sport and recreation areas as well as public spaces. 6. Perfect way of bringing back to life neglected and abandoned city squares and parks. 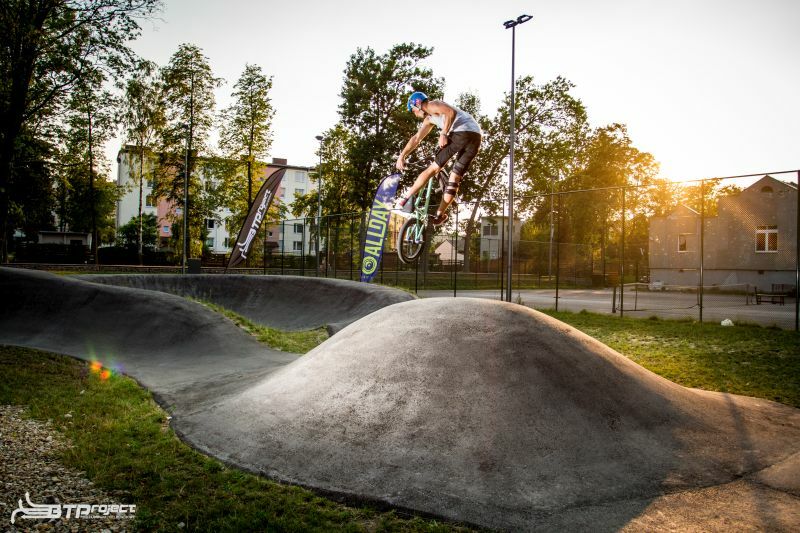 A complex bike playground PUMPTRACK occupies an area of approximately no less than 500 m2. Such a site consists of a few turns and obstacles of various shape. Top positions on the users’ dream list and at the same time most popular in general prove to be sites covering the area of between 1000 and 2000 m2. The terrain intended for a playground-to-be should be either flat or slightly inclined and of various shape. It is possible to design a track with a course running between trees or other “obstacles” of a similar type with the implication of necessary safety measures. 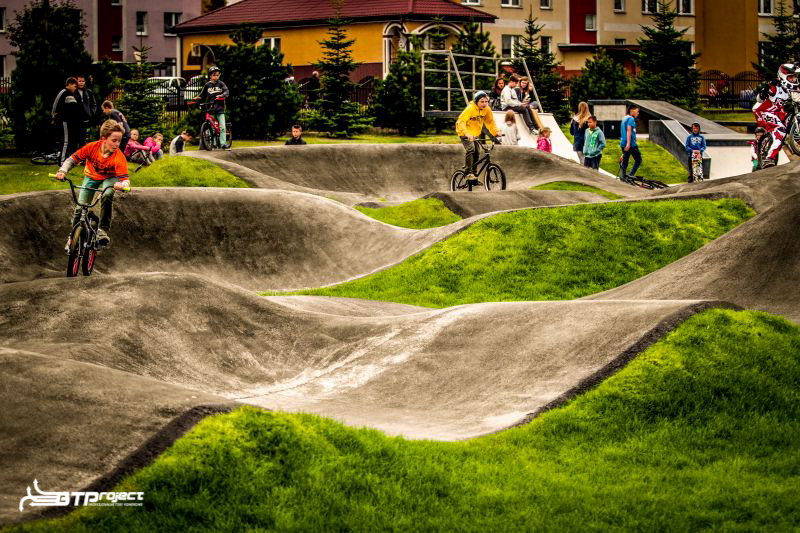 As first in Poland and only second in Europe, we introduced asphalt surface for one of our projects (bike playground Pumptrack in Nowa Sol built in 2014). Due to its unique riding properties it is considered by us as a cutting edge technology in the world of pumptracks. Modular Bikeparkitect system has been recognized at the most prestigious international exhibitions and received an ISPO Munich award and MTP Gold Medal at BUDMA 2014 Trade Fairs. – mobility – track is portable. This feature comes in handy especially during various social events, sports days, local festivals etc. Bike playgrounds PUMPTRACK featuring soil turns covered with one layer of mineral aggregate. Our offer for bicycle playgrounds is: designing of bicycle tracks, pumptrack design, designing of bicycle playgrounds, construction of bicycle tracks, construction of pumptracks.